I read this article and found it very interesting, thought it might be something for you. The article is called Get away and get warm: 5 cheap all-inclusive getaways and is located at https://www.cheaptickets.com/blog/2015/01/get-away-and-get-warm-5-cheap-all-inclusive-getaways/. It’s cold outside. Unbearably cold, really. So cold there’s no other option than to migrate south, to a place so perfectly tropical it makes you warmer just thinking about it. All-inclusive resorts across the Caribbean have made it easy even for those of us still a little cash strapped from Christmas spending to find affordable getaways. And with the packages they offer – which often include airfare and a three- or four-night stay – getting time off work shouldn’t be much of a barrier. 1. Check around when picking your travel dates and see if the resorts are offering any promotions that could save you some cash. 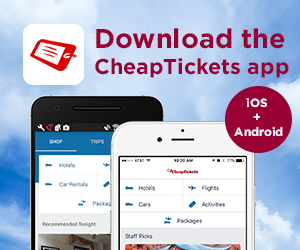 CheapTickets offers a new promo code for hotel discounts every week. 2. Book your reservations and flight at the same time for an even better deal. 3. Factor some extra excursions into your budget. Although some packages do include tours of the area, some excursions you might regret missing out on cost a little extra. 4. Double check which drinks are free and which are included. Typically, you have to pay extra for the more high-end alcoholic beverages. Sunrise in Punta Cana. Courtesy of Sasvata (Shash) Chatterjee. On the eastern-most point of the Dominican Republic lies Punta Cana. There, the sea breeze rustles the leaves of the long skinny palms, which reach out high and far over the Caribbean. It’s an oasis of resorts surrounded by the rich culture of the Dominican Republic, and packages at the all-inclusive Majestic Elegance Punta Cana incorporate both aspects of the area. Adventurers can explore nearby semi-deserted islands, visit the historic city of Santo Domingo or traverse the several natural parks that are close by. If venturing out isn’t your thing, there’s really no reason to have to leave the resort. There are six restaurants, nine bars and 24-hour room services. There are rooftop bars with panoramic views of the beach and cabanas to escape under if the sun gets too hot. The resort hosts fashion shows and beach parties some nights, and if guests need a reprise from the salt water, they can take a plunge in the resort’s Turkish baths. Rooms average $354 per night when booked through CheapTickets. Riu Negril in Jamaica. Courtesy of Channone Arif. The Caribbean water is so clear in Negril, you can see what color your toenail polish is beneath the calm waves. One of Jamaica’s go-to beaches, Negril is nestled between coves on the west side of the island. Riu Negril resort has three restaurants and five bars (three of which are poolside), and they’re open 24 hours. The restaurants are themed – there’s a gourmet restaurant, steakhouse and Italian restaurant – but we recommend trying the local flavors. You’ll never taste jerk sauce like you will in Jamaica, and a taste of that is almost worth the trip itself. Of course, the other all-inclusive perks at the resort don’t hurt. There’s a club (a discoteque, as they call it), with admission and all drinks included in the package (try a Red Stripe, you won’t regret it). Venturing out of the resort is a must as well, with rich Jamaican culture at hand and mountain activities available. From the resort, you’ll have a view of Booby Cay, known for its birds and wildlife. Just up the beach, Rhodes Hall Plantation offers horseback rides along the beach. And don’t forget, Montego Bay is just over an hour’s drive away, teeming with markets and Rastafarian culture. Note: The wifi in the room is not included in the package. But all that time online can probably wait until you’re back in the cold north, right? Rooms average $341 per night when booked through CheapTickets. A beachfront in Cancún, Mexíco. Courtesy of Ricardo Diaz. Not only is it warm in Cancún, relaxation is part of its culture. That’s evident in the atmosphere of this ocean-front resort. Tiki huts on the beach mingle with palm trees swaying in the wind. Most rooms offer private, ocean-view balconies with views of the Mexican sunrise. Surrounded on water on two sides, guests can stay in the hotel or in a villa at this Mayan-inspired resort. Three pools connected by waterfalls flow into each other at the resort and are open 24/7. (And there’s a separate pool for the kids). There’s a jacuzzi bar guests can swim to and sit in while imbibing in a drink. The resort has a spa and beach cabanas that can be reserved for the day. The Cancún sands have become home to four of the eight species of sea turtles, and guests can witness their nesting season May through September. Female turtles migrate from feeding areas and lay an average of three nests per season. Cancún’s turtle program keeps guests at a distance safe enough for the turtles, but close enough for the experience. Rooms average $265 per night when booked through CheapTickets. Barcelo Maya Beach. Courtesy of kartfamily. On the shores of the Yucatán, about an hour’s drive down the coast from Cancún, lies Playa del Carmen. The area was a port for ancient Mayans pilgrimaging to Cozumel, a sacred island with a shrine to the goddess of fertility and childbirth. It is the capital of the Riviera Maya, where open-air restaurants and shops mingle with Mayan ruins. Nearly everything about this resort, located just south of Playa del Carmen, was inspired by the ancient Mayans. The three restaurants and three bars, which were recently renovated with Mayan-inspired architecture, serve Mayan-inspired food, along with other international cuisines. Guests can get a Mayan spa treatment at the resort’s spa. The sand is white and the water is clear – so clear guests can see the stunning coral reef separating the mainland and Cozumel. And on a clear day, guests can see the island so many Mayans visited in their search for fertility. Rooms average $332 per night when booked through CheapTickets. Royal Solaris Los Cabos. Courtesy of Michael Allen Smith. San José del Cabo is located on the southern most tip of Baja California, near where the Gulf of California blends in with the Pacific Ocean. If guests get bored of staring out at the Pacific Ocean, they can turn around and enjoy a backdrop of the Sierra de San Larazo Mountains. Touristic growth has remained on the outside of the San José del Cabo town center. Guests venturing out of the resort to experience the Baja culture can see the cobblestone streets, adobe houses and a square that sits in front of a church from the 1700s that remain in the town center. The resort itself is kid-friendly, with a waterpark and an ocean-view hot tub. 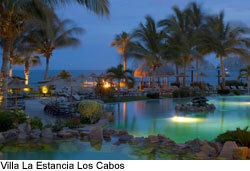 With Baja being a favorite getaway for American celebrities, you may spot a star among all the tropical beauty. Rooms average $201 per night when booked through CheapTickets. I read this article and found it very interesting, thought it might be something for you. 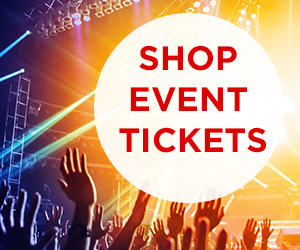 The article is called Jamaica carnival: a winter respite in February and is located at https://www.cheaptickets.com/blog/2012/01/cheap-caribbean-vacation-jamaica-carnival-a-winter-respite-in-february/. Jamaica's lovely beaches aren't the only draw during the festival-laden winter. Credit: rappensuncle. I read this article and found it very interesting, thought it might be something for you. The article is called Top 5 can’t-miss cruises and is located at https://www.cheaptickets.com/blog/2010/05/top-5-cant-miss-cruises/. Mother’s Day is right around the corner, and if you’re still hunting for the perfect present for that special lady in your life — be it your mom, sweetie, sister, or other great gal — what better gift than a relaxing cruise to a fabulous destination (or several fabulous destinations)? There are literally tons of cruise itineraries and vacations to choose from, but here’s a few show stoppers definitely worth a look. (1) 6-Night Southern Caribbean: While many Caribbean cruises focus on the Eastern and Western portions, the Southern Caribbean has gorgeous islands with lots of historic charm. On this trip, you’ll stop first in sleepy St. Croix; take a scenic horseback ride or an exciting scuba dive. Then, beach it up in St. John’s, Antigua, before checking out the drive-up volcano (yes, you read that right) on St. Lucia. End your trip by exploring the amazing plant and animal life at the Nature Reserve on St. Kitts. I read this article and found it very interesting, thought it might be something for you. The article is called Cheap vacation: Save 60% at Jamaica all inclusive and is located at https://www.cheaptickets.com/blog/2010/03/cheap-vacation-save-60-at-jamaica-all-inclusive/. Jamaica has always been a popular spot for cheap Caribbean vacations — it’s easy to get to and there are plenty of cheap all-inclusive resorts. And if you’re looking for reasons to plan a cheap vacation, this might be it: Sandals Dunns River Villaggio Golf Resort & Spa Luxury All Inclusive. Imagine a cheap vacation destination that combines Mediterranean elegance with the warm weather and beaches of the Caribbean. That’s what you’ll find at this cheap all-inclusive resort in Ocho Rios. Decorated like an Italian palazzo and with chefs and performers from Italy, you could forget you’re on a cheap Caribbean vacation — that is, until you dive into Jamaica’s largest pool and walk on the white sand beach. Guests here also have access to the Sandals Golf & Country Club for unlimited golf with no greens fees. What else does a cheap vacation here include? Dining at six restaurants, access to spa services, and a state-of-the-art fitness center with hot and cold plunge pools. Now, here’s the part that makes it a cheap Caribbean vacation: book a stay of six nights or more and get 60% off. I read this article and found it very interesting, thought it might be something for you. The article is called Caribbean travel deals: free nights, big savings and is located at https://www.cheaptickets.com/blog/2010/03/caribbean-travel-deals-free-nights-big-savings/. With these Caribbean travel deals, you can plan a winter escape on a budget. Just pick one of these cheap hotels in sunny, island destinations, and winter may seem a world away. Paradisus Palma Real Resort All-Inclusive: One of the “Leading Hotels of the World,” this 5-star property in Punta Cana doesn’t feel like a cheap hotel, with its spacious suite accommodations. Ten restaurants, a casino and spa are just some of the entertainment options. Save 40% on stays through April 9. Verdanza Hotel: This cheap hotel offers luxurious touches for your Puerto Rico vacation, including three restaurants and expansive pool with water spray park. The hotel also is committed to eco-friendly practices, offering only locally harvested coffee, using LEDs, etc. Take advantage of this Caribbean travel deal now and get a fourth night free on stays through April 30. The Westin Aruba Resort: This newly renovated resort has special touches and amenities that a cheap hotel doesn’t: marble baths, all rooms with private balconies and ocean views — plus seven restaurants, a casino and spa. Save 30% on stays of three days or more. I read this article and found it very interesting, thought it might be something for you. 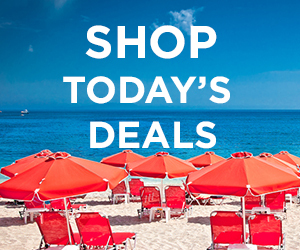 The article is called Deal of the Day: Luxurious Punta Cana all-inclusive on sale and is located at https://www.cheaptickets.com/blog/2009/01/deal-of-the-day-luxurious-punta-cana-all-inclusive-on-sale/. This week’s Deal of the Day makes it easy to plan a cheap Caribbean vacation in Punta Cana, a destination known for spectacular beaches and golf courses. One of the cheap Punta Cana hotels we’re highlighting is the Ocean Blue Golf and Beach Resort All Inclusive. This four-star resort is offering 30% off regular rates, with a room for January 31 starting at just $159. You definitely won’t feel like you’re on a cheap Caribbean vacation when you stay at the Ocean Blue Golf and Beach Resort. All the rooms are suites, and the resort has seven restaurants, ten bars and two pools. Travelers who’ve stayed at the resort give it high marks for its delicous food and plenty of activities for adults and kids. I read this article and found it very interesting, thought it might be something for you. The article is called Holiday travel: Cheap cruises for November, December and is located at https://www.cheaptickets.com/blog/2008/11/holiday-travel-cheap-cruises-for-november-december/. The holiday travel season is here, and CheapTickets has great deals for people who want to celebrate at sea. Seven-night Eastern Caribbean: Cruise to St. Maarten and St. Thomas aboard the Royal Caribbean Mariner of the Seas. Enjoy three pools, a rock-climbing wall, ice-skating rink and plenty of other activities. Cruise leaves November 23, and prices start at $499. 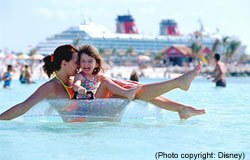 Four-night Bahamas: Sail to Nassau and a private Bahamas island aboard the Monarch of the Seas. Let the teens hang out in the ship’s special teen loungewhile you lounge at the spa. 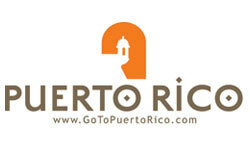 Rooms start at $389 for this November 24 sailing. Ten-night Southern Caribbean: Leave the cold behind when you visit St. Lucia, Barbados, the British Virgin Islands and more. You’ll celebrate the holidays in style with four restaurants and a Champagne and Caviar Bar. The Celebrity Galaxy leaves December 19, and prices start at $649. Four-night Thanksgiving cruises start at just $229, and four-night December cruises start at $319. With cheap cruises from CheapTickets, your holiday travel can be easy and affordable.